"Cuts through the hype! Golding's compelling offers visionary, but practical insights. A "must have" reference treatment for all practitioners in the mobile innovation space." 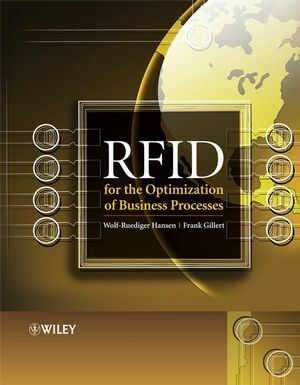 Second edition of this best-selling guide to Wireless Applications: fully revised, updated and with brand new material! 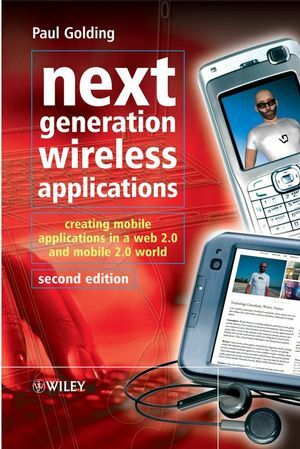 In Next Generation Wireless Applications, Second Edition, the author establishes a picture of the entire mobile application ecosystem, and explains how it all fits together. This edition builds upon the successes of the first edition by offering an up-to-date holistic guide to mobile application development, including an assessment of the applicability of new mobile applications, and an exploration into the developments in a number of areas such as Web 2.0, 3G, Mobile TV, J2ME (Java 2 Micro Edition) and many more. New introductory chapters on trends in mobile application, and on becoming an Operator. Two new chapters on Mobile 2.0 and IMS and Mobilizing Media and TV. Best practice on how to present to, sell to and work with operators. More insights, anecdotes and sidebars reflecting the author's extensive experience in the industry. Next Generation Wireless Applications will prove essential reading for professionals in mobile operator and mobile application developing companies, web developers, and developer community managers. Media companies, general managers, business analysts, students, business consultants, and Java developers will also find this book captivating. "If you want to understand the future of mobile applications and services, their potential impact and the growth opportunities this is the perfect starting point." Paul Golding has over fifteen years experience in the wireless and mobile technology industry. Paul runs his own consultancy company Magic E Company and is currently consulting?in the area of IP Multimedia Subsystem (IMS) and Push-to-talk over Cellular (PoC). He has worked as senior consultant within Motorola's newly formed mobile applications team involving numerous encounters with operators globally and with numerous mobile applications vendors. He also has a popular blog which features a series of 100 Mobile Ideas, which has been followed by various industry participants, including prominent companies (e.g. Yahoo, Vodafone, O2, Etisalat). 1 Prelude – The Next Generation Experience. 1.1 What is ‘Next Generation’ Anyhow? 1.3 The Future’s Bright, the Future’s Ubiquity. 1.4 Our Multitasking Mobile Future. 2.1 What Does ‘Next Generation’ Mean? 2.2 What is a ‘Wireless Application’? 2.3 A Concentric Networks Approach. 2.3.3 Radio Frequency (RF – Wireless) Network. 2.3.4 Internet Protocol (IP) Network. 3 Becoming an Operator 2.0. 3.2 What Applications Can I Sell? 3.3 Where Does the Money Come From? 3.6.1 Top Ten Selling Tips. 3.6.2 Selling Apps to Operators – Operator Perspective. 3.7 Which Applications Should an Operator Deploy? 3.8 Interpreting User-Experience Trends into Applications. 3.9 Wider Digital Trends Including Web 2.0. 3.9.1 Web 2.0 and Mobile Web 2.0. 3.9.2 Mobile Web 2.0 or Mobile 2.0? 4 Introduction to Mobile Service Architectures and Paradigms. 4.1 Possible Application Paradigms for Mobile Services. 4.2 Modes of Mobile Interaction. 4.3 Mapping the Interaction to the Network Model. 4.4 Mobile Interaction in the Mobile Ecosystem. 4.5 Modes of Communication Across the Network Layers. 4.7 The Web 2.0 Challenge. 5 P-Centric Mobile Ecosystem and Web 2.0. 5.2 The Internet and Web 2.0. 5.3 The Challenges of Liberating Data. 5.3.1 Challenge 1: Making Database Information Human-readable. 5.3.2 Challenge 2: Adding Visual Formatting to the Database Information. 5.3.3 Challenge 3: The Need for a Protocol. 5.3.4 Challenge 4: The Need for a Delivery Mechanism. 5.4 Did We Need HTTP and HTML? 5.5 Overcoming Web Limitations with Web 2.0’s AJAX, Widgets and Other Goodies. 5.6 Sidestepping the Web with P2P Interaction. 5.7 Going Beyond Publishing with Web Services. 5.10.2 Session Initiation Protocol (SIP). 6 Client–Server Platforms for Mobile Services. 6.4.1 Example CS Design Issues. 6.5 Introducing J2EE – The ‘Dirty Stuff’ Done For Us! 6.6 Why All the Fuss About J2EE? 6.6.1 The Challenges of Integration. 6.7 Handling SIP with Java. 7 HTTP, WAP, AJAX, P2P and IM Protocols. 7.1 The Rise of the Web. 7.2 How HTTP and HTML works. 7.3 Important Detail is in the HTTP Headers. 7.4 The Challenges of Using HTTP Over a Wireless Link. 7.5 WAP Data Transmission Protocols. 7.6 Wireless Protocols – WTP and WSP. 7.6.2 Wireless Transport Protocol (WTP). 7.6.4 Segmentation and Reassembly in Action. 7.6.5 Wireless Session Protocol (WSP). 7.9 Instant Messaging (IM) Protocols. 8.1 Separating Presentation from Business Logic. 8.1.1 Servlets and JSPs – ‘HTTP Programs’. 8.1.2 Comparing Servlets with JSPs. 8.2 Markup Languages for Mobile Devices. 8.2.2 The Mobile Evolution (WML). 8.3 Full Circle – WML ‘Becomes’ XHTML. 8.3.3 XHTML-MP (Mobile Profile) – The Final Frontier. 8.3.5 Browser-specific Enhancements to XHTML-MP. 8.3.6 Guidelines for Mobile Webpage Authoring. 8.5.1 Detecting and Capturing Device or Browser Information. 8.5.3 Dynamic Page Generation Schemes. 8.6.1 Cookies to the Rescue. 9 Using J2EE for Mobile Services. 9.1.1 Containers – The J2EE ‘Glue’. 9.1.2 RMI – The EJB ‘Glue’. 9.1.3 Stubs and Skeletons – The Inner Workings of RMI. 9.2.1 Securely Connecting the User. 9.2.2 HTTP Authentication – Basic. 9.2.3 HTTP Authentication – Digest. 9.3 Encrypting the HTTP Link. 9.3.2 Using PKC to Secure Web Connections. 9.4 Applying SSL to Wireless. 9.5 End-to-End Encryption in a Mobile Network. 10.3.1 Interfacing Via the Network Layer. 10.6 Role of DSP in Digital Wireless Devices. 10.6.4 Digital Signal Processor (DSP). 10.7 Suggesting a Generic Device Architecture. 10.7.1 Core Processor and Operating System. 10.7.4 Application Programming Interfaces (APIs). 10.8 Moving Towards a Commercial Mobile Platform. 10.8.2 Personal Information Management (PIM) Utilities. 11.3.1 What Do We Need to Develop an Embedded Application? 11.3.2 C and C++ Are Not the Only Choices. 11.4.2 Configuring the IDE/Program Editing/Compilation and Build. 11.4.3 Testing and Debugging with a Simulator. 11.4.4 Testing on the Target Device. 11.4.6 Pilot Trials and Deployment. 11.5.2 Requires an Available Network Connection (Caching). 11.7 The Java Ethos – a Tale of Two Parts. 11.8 Java 2 Micro Edition – ‘Wireless Java’. 11.9 Using MIDP to Develop Mobile Applications. 11.10 What Does MIDP 2.0 Offer? 11.10.1 Application Packaging and Delivery. 11.11 MIDP OTA Download Mechanism. 11.12 What Does MIDP 3.0 Offer? 11.13.3 Alternative Application Paradigms – Opera Platform. 12.1 The Essence of Cellular Networks. 12.2.2 Building an RF Network. 12.2.3 Increasing Capacity Using TDMA. 12.2.4 Increasing Capacity Using CDMA. 12.3 The Harsher Reality of Cellular Systems. 12.6.1 Getting Data In and Out. 12.6.2 Gateway GPRS Service Node. 12.7.2 Service Delivery Platforms Based on Web Services. 12.7.3 Standards for the Service Layer APIs – Parlay/OSA. 12.8 Parlay X (Parlay Web Services). 12.8.1 What Does a Parlay X Message Look Like? 13.1 ‘I’ve Just Run Someone Over’. 13.3 Message Handling Using J2EE. 13.4 Accuracy of Location-Based Services (LBS). 13.5 Interfacing LBS Applications with the Cellular Network. 13.8 Getting in the Zone with Splash (Spatial) Messaging. 14 Mobile 2.0 and IMS. 14.3 IMS – What is it Really? 14.4 Why is IMS Important? 14.5 Start Here: Internet Telephony, or VoIP. 14.6 Session Initiation Protocol (SIP). 14.6.4 Media Out of IMS Control. 14.6.6 More Than Just SIP. 14.7 The Promise of a Common Services Environment. 14.7.1 Seamless Mobility and Convergence. 14.8 IMS as a Convergence Catalyst. 14.8.1 Mobile Roots, Fixed Branches. 14.8.2 Spanning the Mobile-fixed Divide – TISPAN. 14.8.3 A Winding Path to Convergence. 14.9 End Here: Beyond VoIP - Application Servers. 14.12 The Universal Client and Web 2.0. 15 Mobilising Media and TV. 15.3.1 Pervasiveness – Always On. 15.3.3 Merchandising – Paying is a Familiar Experience. 15.5.1 Client Versus Clientless: to WAP or Not to WAP. 15.5.2 On-Device Portals: Using Clients to Engage the User. 15.6.1 Unicast (and Multicast) TV and Video. 15.6.2 Broadcast TV and Video. 15.7 Mobile TV is Not TV on the Mobile. 15.7.3 Time and Place Shifted Viewing.